Making money with affiliate marketing is something every marketers and blogger should try. In this journey today I will be sharing about how to make money with StudyBay affiliate program. But before moving ahead, let’s see what StudyBay is and how StudyBay affiliate program will help you to make money being a blogger or affiliate marketer. Being a blogger, it is easier for us to put our thoughts in words and let the world know. But it is really difficult for some people. Such people struggle on a daily basis to form content- especially students. Remember the time when we had lots of assignments and papers pending for submission? It was hectic those days to complete those on time and as there was a lack of internet and so we had no other options. Things are changing now and recently I have come across a website called StudyBay which provides the content services for those who can’t make their own. In this article, I will share what StudyBay is, how it is helping the community and how to make money with StudyBay affiliate program. In simple words, StudyBay is an online service website for content creation. Here anyone especially students can post their required work, accept bids from the professional writers and get the content delivered. It is a freelance marketplace for students and authors. 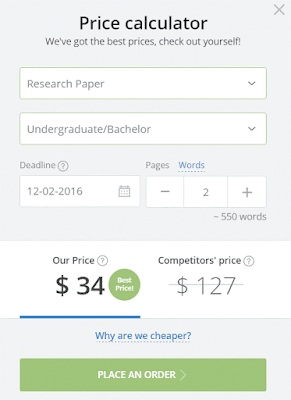 You can easily estimate the cost you will have to pay for the work indicating academic level, assignment type, deadline, and word limit. You will be knowing the estimated price well in advance and can manage it accordingly. StudyBay has over 10k quality professional content creators who are working on 57k assignments and so there is a great opportunity for affiliate marketers to earn from StudyBay affiliate program. The working of StudyBay is very simple and somewhat similar to another freelance marketplace. Let me show you how a student can place their requirements and can get the work delivered. • So students can place their order on the StudyBay portal, and the writers will bid on your order. Now you can hire a writer and writer will start working on your assignment. • You can also calculate the price in advance for the order you are about the place. • StudyBay assures you for the money back guarantee including free revisions, and the rights to request a refund. • You can also be assured for the plagiarism free content. • Here are some of the common kind of contents you can order from StudyBay and their price. • Here are some of the common reasons as for why a student should choose StudyBay to get your content related work done. Now as you know how much StudyBay is beneficial to get the content delivered, so there is a great opportunity for bloggers and affiliate marketers to earn. How to make money with StudyBay Affiliate program? StudyBay provides a lucrative affiliate program with amazing benefits and perks for their affiliates. If you have educational traffic, then StudyBay affiliate program can turn a profitable deal for you. StudyBay affiliate program monetizes educational traffic from English-speaking countries. You will get a recurring commission with StudyBay. It will be 60% on the first order, and 15% is recurring on the subsequent orders. • 64%- an industry beating 64% CR (Conversion Rate) for paid and fulfilled orders. • Ten orders – The average number of orders per client on our resource. • 24/7 – We convert your traffic even at night, holidays and weekends. • Your referral is tied to you forever and do not expire. So if your referral traffic is ordering a piece of content of $100 as a first order and so you will receive 60% of it which is $60. Now as per the StudyBay research, an average clients at least place ten orders and so let’s say those are also of value $100, and so you will get $150 (15% subsequent commission). How to join StudyBay Affiliate Program? Once signed up, you will be asked to verify the email, and you can access your account right away. There is no approval process, but they don’t allow spam traffic. From this dashboard, you can manage all your affiliate activities. You can also download the promotional materials like banners, API, etc. A wide variety of promotional materials is available under different size and offers. You can copy the HTML code and can make the best use of it. You can also earn if you will refer a webmaster to StudyBay and that is 5%. So if your referred webmaster is making $100, then you will also earn $5. Just use your referral id like I did and referred webmaster and got a commission. • Instant payments every day! As the threshold is just $10 and so any can achieve this very easily and earn. You will be paid through PayPal, WebMoney or made to bank cards (Visa / MasterCard). StudyBay is a content niche marketplace for students and writers. 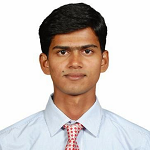 Both can get their work completed with quality very smoothly. At the same time, StudyBay offers a very lucrative affiliate program where you can earn 60% commission on first order and 15% recurring commission which is amazing.